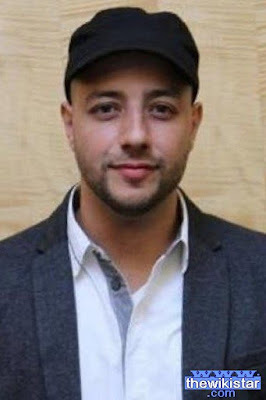 Maher Zain, R & B singer Muslim of Lebanese origin Swedish nationality, born July 16, 1981 in Tripoli, Lebanon. Maher Zain, R & B singer Muslim of Lebanese origin Swedish nationality, born July 16, 1981 in Tripoli, Lebanon, is married to a Moroccan name inspiration. The first inspiration in music is his father, his father was singing in the city of Beirut - Lebanon. Venco music, and got his first instrument at the age of ten years, and since that time, music has become an important part in his life. He moved with his family to Sweden at the age of 8 years, where he continued his education, and then joined the university and earned a bachelor's degree in aeronautical engineering, after his university studies in music industry revenue in Sweden and succeeded in doing so, and then moved to New York and participated in the music industry for albums with the Moroccan product Reid albeit, has achieved overwhelming success in New York, such as singer Kat DeLuna, but nevertheless he felt inside that something was not right, he says: I loved music but I hate everything that surrounds me, I always felt that there is something is wrong. He returned to Sweden and met with a group of brothers who are active in the Muslim community in Stockholm, and began to regularly attend the local mosque. He says that he then felt that he had arrived at the safe house, and is finally able to find the right way. He went to religious singing his way to the Arab countries is very strong between the ancient and the modern wave wave tried Oqlmth with the new data. The end of 2010 became very famous in Malaysia. And also achieved great commercial success in Malaysia. Album Thank You Allah has made eight platinum awards through Malaysia and Warner Music as the most album achieves sales for 2010, also album Thank You Allah earned a platinum double award from Sony Music Indonesia Company ... sing Maher Zain in English mainly but made some famous songs in other languages, for example the song, God willing, now available in English, French, Arabic, Turkish, Malaysian, Indonesian. Another song also is Allah, the Urdu-language her performance songs with the singer Canadian of Pakistani origin Irfan Makki. In March 2011, the launch of the song Maher Zain Freedom song that her inspiration came from the Arab Spring revolutions. Maher Zain Irfan Makki participated in the song I Believe I believe in and also Mesut Kurtis participated in the song beloved Beloved. Smash video clip (God willing) for Maher Zain number about 28 million views so far is a very record for Islamic art and the Arab .. Artist Maher Zain Muslim artist is most popular in the world where the number of Facebook fans has reached more than 8 million impressed. It is on the rise and this new record and the Islamic and Arab art scene. He is the first Muslim artist up to one million Fans on Facebook in a period not exceeding one year from the issuance of the first album, and the first Lebanese artist up to one million Fans on Facebook in a period not exceeding one year from the issuance of the first album. It is the largest personal winning percentage search on Google Google site in Malaysia in 2011, followed by Justin Bieber Justin Bieber. The Maher Zain revive concerts in more than 21 countries including: Australia, Morocco, Algeria, Bahrain, Bosnia, Belgium, Canada, Egypt, France, Germany, the Netherlands, Jordan, Malaysia, Qatar, Sweden, Singapore, Britain and the United States. Palestine will be liberated "Palestine Will Be Free" (2009). God willing, "Insha Allah" more than one language (2010). Chosen "The Chosen One" (2010). O Prophet of peace you "Ya Nabi Salam Alayka" more than one language (2011). For the rest of my life, "For the Rest of My Life" more than one language (2011). No. 1 for me "Number One For Me" (2012). Love prevails "Love Will Prevail" (2013). I believe in "I Believe" (with Irfan Makki 2011). Never forget "Never Forget" (with Mesut Kurtis, 2011). Minimum "This worldly life" (from the album Peace colors singers who participated from all over the world in 2013). Always Be There, Ya Nabi Salam Alayka, Insha Allah, Palestine Will Be Free, Thank You Allah, Allahi Allah Kiya Karo, The Chosen One, Baraka Allahu Lakuma, For the Rest of My Life, Hold My Hand, Awaken, Subhana Allah, Open Your Eyes, Ya Nabi, Thank You Allah. I Love You So, Number One For Me, Mawlaya, My Little Girl, Forgive Me, One Big Family, Assalamu Alayka, Paradise, Masha Allah, Radhitu Billahi Rabba, Freedom, So Soon, Muhammad (pbuh), Guide Me All the Way , Assalamu Alayka. Best Islamic song from the radio station Star FM music for the song "O Prophet of Peace You" (2010). Double platinum award from Sony Music Indonesia company. Eight platinum awards in Malaysia. Best star of Muslims in the contest organized by Onislam.net (2011). 11 Platinum Album Award «Thank you, O God,» Thank You Allah. More selling albums in Malaysia for the year 2010 award for album «Thank you, O God,» Thank You Allah. He earned his first album on the first place on the "Amazon" in the World Music category in May 2010.